Before we even get to release this feature, it has already been reported that Kanye West and adidas Originals' collaboration shoe, the Yeezy Boost 350, has already sold out just a few days after the limited edition pair was made available globally. 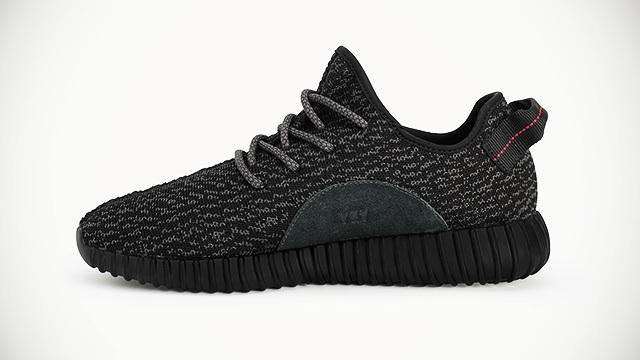 #YEEZYBOOST 350 is now sold out online in the U.S. Adding to this deplorable news of the Yeezy drought are reported cases of the prized pair fetching a ridiculous $20,000 on eBay. WTF? No wonder thousands camped out at stores for days just to get first dibs on Yeezy's all-black edition. And while Kanye himself recently unveiled a new Yeezy Boost 350 colorway, we still wish you good luck in copping yours.